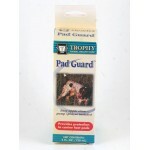 DESCRIPTION: Provides protection to canine foot pads. 4oz Spray Easy application. For use on soft.. 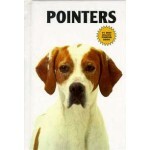 DESCRIPTION: If you have ever found yourself comparing the joys and frustrations of raising a dog w.. DESCRIPTION: MADE IN THE USA! 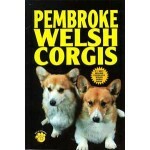 ”There are as many germs on paws as there are on hands.” Keep your.. 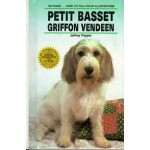 DESCRIPTION: This book, illustrated with almost 175 full-color photos and drawings, presents sensib.. 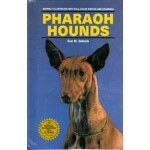 DESCRIPTION: This book, illustrated with more than 175 full-color photos and drawings, presents sen.. 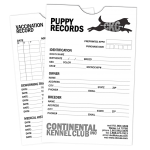 DESCRIPTION: Written with remarkable clarity and illustrated throughout with over 200 full-co..
Puppy Records Folder is a card-stock sleeve, preprinted for the purpose of documenting identificatio.. 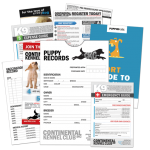 Prepare each new owner with an organized folder for puppy health records, registration info, and val.. 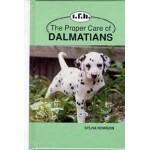 DESCRIPTION: A charity dog show has Jessica hitting the road with her faithful one-eyed Dalmatian.. Tiny but Mighty! 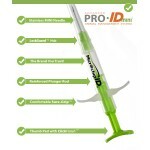 Looking for the best made microchip pre-loaded into a familiar syringe AND a great.. Tiny but Mighty! Looking for the best made microchip pre-loaded into a familiar syringe AND a gre..
You are about to embark on one of life’s greatest adventures, and it is our hope that you will share.. 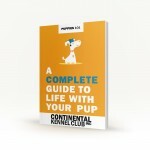 Prepare every new puppy owner with an organized folder for puppy health records, registration d.. 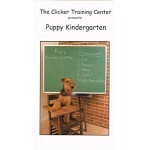 DESCRIPTION: Puppy training DVD by the Clicker Training Center that gives clear, step-by-step ins..